← There’s still time to shop for Mother’s Day! How would you like to get your Class Ring for FREE? Have you ordered your class ring yet? 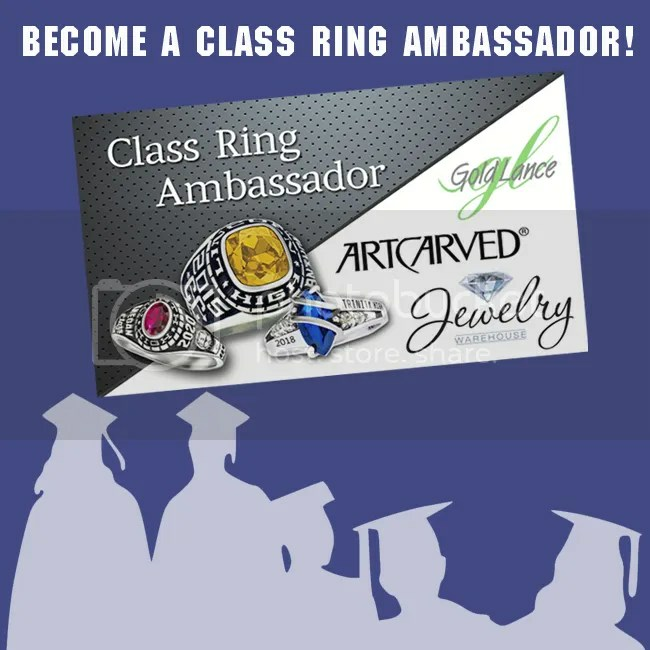 When you purchase a Class Ring from us, you will become a Class Ring Ambassador! Simply pass out the cards you’ve been given and have your friends bring one in when they buy a class ring from Jewelry Warehouse. They’ll get $10 off their ring and we’ll give you $10 for every card turned in to us. If all the cards are turned in – Your ring is essentially FREE! The offer is valid 90 days from the date of your purchase. Stop by your local Jewelry Warehouse for more information! This entry was posted in Free Jewelry, Jewelry, Jewelry Brands, Jewelry News and tagged 2015, class rings, grads, grads 2015, graduation, Jewelry, jewelry warehouse, ring. Bookmark the permalink.